We are engaged in offering a wide range of High Quality Packaging Material. Our wide range of packaging material includes Pet Strap, PP Strap, Cord Strap, Steel Strap, Steel Strapping Seals, Pet Strapping Seals, BOPP Tapes, Stretch Film, Lashing Buckle, Angle Board & Woven Lashing Strap. To prevent the product from moisture, water, heat & corrosion we provide high grade of PP HDPE Roll. 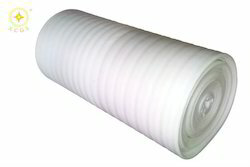 These rolls are available in various sizes starting from 4" to 60". These can also be availed in laminated & non laminated version with optional double side lamination. 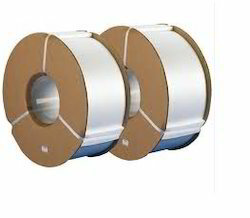 These are highly used in packing of steel coils & various products in roll form. Available in 60gsm to 160gsm. We offer wide range of Dunnage Bag or commonly known as Air Bag for Void Filling in Containers & Railcars. They provide right amount of Cushioning & cease the movement of Goods in the container. The amount of Air in the bag can be controlled as per the design of goods. We offer these Bags in Paper & Polymer variants. Other sizes can be customized as per clients requirement. We feel proud to introduce ourselves as the leading organization in this domain, engaged in presenting an excellent grade of Machine Grade Stretch Film. This film is used in various industrial sectors. Offered film is used in packaging and stretching various machineries and parts and machines in the industrial sector. Our professionals manufacture the film using quality materials and modern technology. Apart from it, clients can get the film at industry leading rates. We provide manual as well as machine grade stretch film with stretchability of 300%. Our manual grade film comes in two variants 12mic & 23mic. 12mic has better cling & reduces the overall packing cost with the reduction in weight. It has better tear resistance than a 9mic film. The length of the film can vary from 100mm to 500mm depending upon the requirement. It is also available in 1”core. Overall palletization cost is reduced by using our high quality machine grade stretch film with better tear resistance & high stretch ability for upto 300%. With the comprehensive industry knowledge of allied domain, we are engaged in presenting a superior quality range of Steel Strapping Seal. Offered strapping is manufactured using 19 and 32 mm stainless steel materials. This strapping is manufactured adhering to industry standards and advanced technology. Our professionals manufacture pusher and open steel strapping. Once the strapping is manufactured, our professionals opt for strict quality tests. Beside this, clients can get the strapping from us at industry leading rates. Polyester Cord Strap is produced by co-extrusion where polyester fibers are covered with plastic. Tensile strength of the strapping depends on the number diameter of the fibers used. Stiffness of the strapping allows the user to easily feed it under pallets, logs other loads. These straps have high break resistance compared to Steel PET. 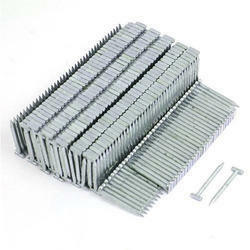 They are used in one way container lashing solutions along with the wire buckle. FROMM provides best in class quality PET Strap made with the right combination of Virgin & mixed polymers to provide the right ratio of elongation & highest tensile strength. These PET Strap are anti-slit & do not break in between. Used with the right tools these Strap provide unmatched strength to replace steel strap. Available in 10mm to 32mm sizes. Only FROMM provides 25mm & 32mm strap. These are primarily used in cargo & container lashing to cease the goods from movement & damage during the transit. These have woven fibers providing more strength & break load exceeding 2.5T. We provide high quality PP Strap made with 100% virgin polymers ideal for Fully automatic machine. These are available in various colors as per request. Our straps are manufactured with the right combination of polymers & high quality fillers. Our straps are camber free & reduces the breakdown of the machine. Made with multiple layers of laminated, stacked & glued sheet of paper, these edge protectors provide great structural strength & are used in replacing the conventional wooden boxes. They provide great strength to the edges of cardboard & are used for edge protection for fragile items during handling & transit. We are importers of plastic corner protector used with pet strap and steel strap. 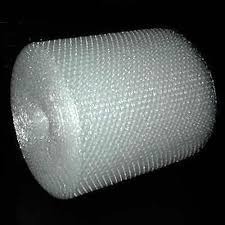 We offer our clients high quality Air bubble Roll, which are protective and cushioning packing material, that are manufactured using premium quality plastic. The rolls further have air pockets that cover the surface, which prevent the packed material from any damage. It is known as Expanded Polyethylene Foam Sheet orEPE Foam Sheetthat is strong and resilient closed cell foam typically used to provide cushioning, shock absorption and vibration dampening while packaging products.Foam Packaging Materialprovides for a protective packaging solution for a wide variety of products. 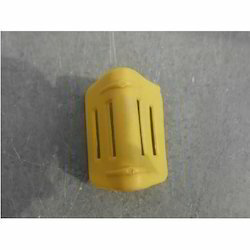 What makes the material very convenient is that it can easily be fabricated into any desired shape simply by using inexpensive tooling.Packaging Materialmade byFoamcan be die- cut, heat- sealed, welded, glued, saw-cut, split, skived and drilled with the use of conventional tools in order to achieve precisely specifiedEPE Foam Sheets. Sizes readily available are 1 to 20mm. Looking for Packaging Material ?